Many of us have questioned urban public space and, in the case of Beirut, the lack of it. Yet most of us have not stopped to think about the space in between, the balcony. A Balcony is an external space straddling the private and public space. 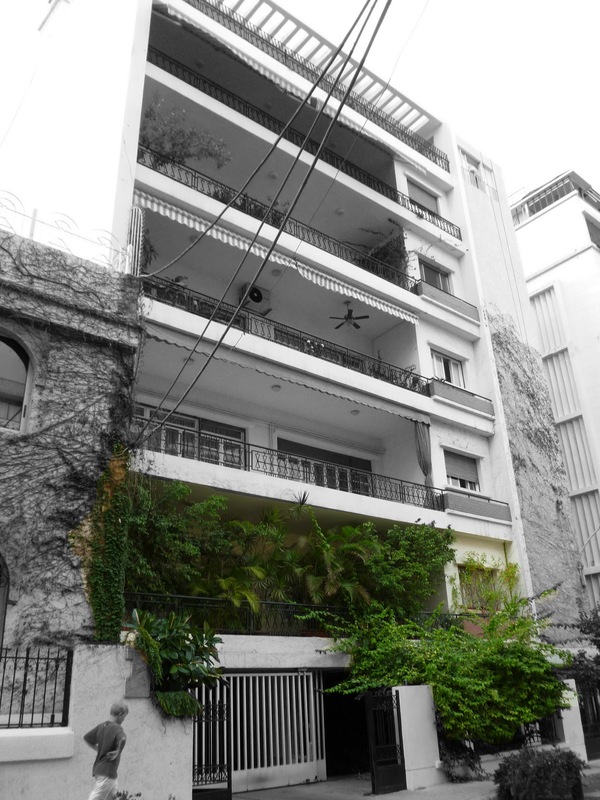 Its outdoor cantilever coupled with its mostly green eruptions of lush green plants in Beirut mediates between the public hard-scape and the private domestic hard-scape. This cantilever of usually no wider than 2 meters in Beirut is the transitional space between the communal and individual space. It is usually coupled by a planter bed. If a planter is not included as an edge between the balcony and the public sphere the dweller, in most cases, adds greens to increase the threshold or to further filter the outside world. This type of spatial production of semi-public space is strictly regulated by the building law. 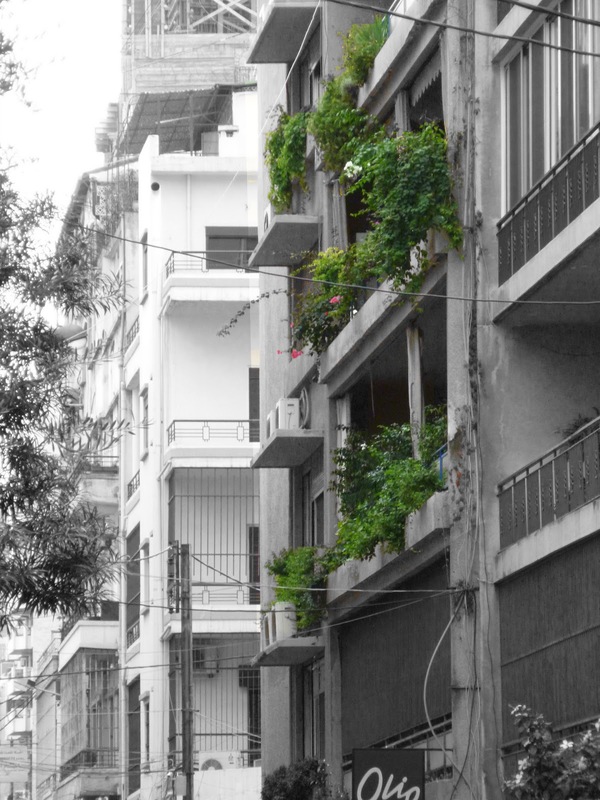 The Lebanese building law, in general, allows twenty percent of balconies to be added to each floor plate. In addition, 60cm-wide flower planters are allowed as an edge between the balcony and the street. This may further alienate the individual and expand the realm of the private sphere by expanding and increasing the filter of the semi-private boundary. Yet the addition of the hanging greens is mesmerizing in some alleys. 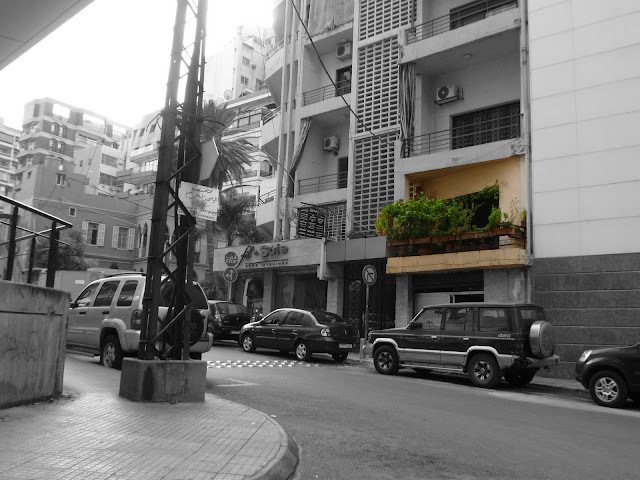 Have you ever walked in Beirut and looked in front or above you to see large floating green plants hanging above you? Visually accessible public green space may be similarly important to physically accessible public green space. Moreover the prevalence of this phenomenon seems to allow the existence of this type of green space within the dense urban fabric of Beirut. Therefore this accessible public green space should be celebrated and encouraged. Sadly however, an amendment to the building law has somehow permitted apartment owners to enclose their balconies with a curtain wall. Today, all new apartments are designed with these curtain walls and are not livable otherwise. This is because the living room is now located on the enclosed balcony allowing apartment interiors to decrease in area. 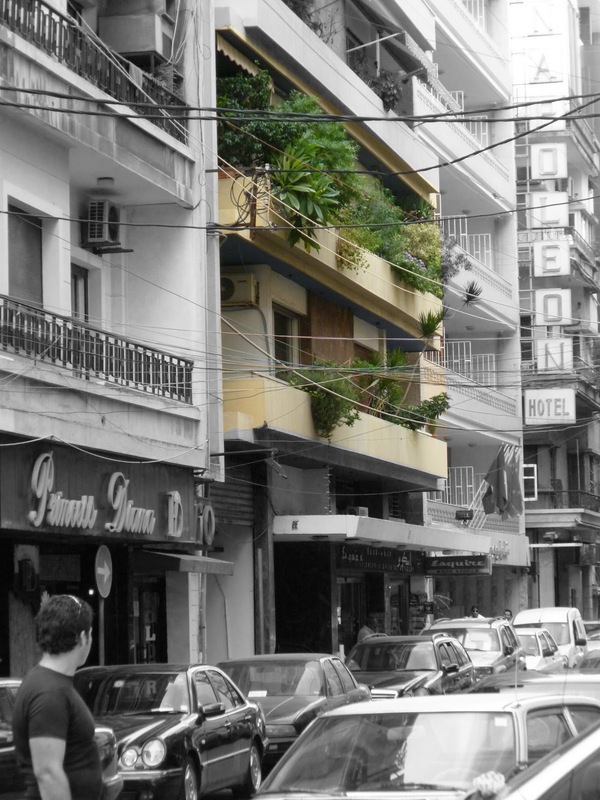 This building law with the market therefore made balconies and the plant overhangs less of an option. The once enriching semi-public space, which allowed every urban dweller to have a small semi-public green space and the pedestrian a visually accessible public green space, is in the process of disappearing altogether. The vanishing of the balcony space is also occurring within already existing building. 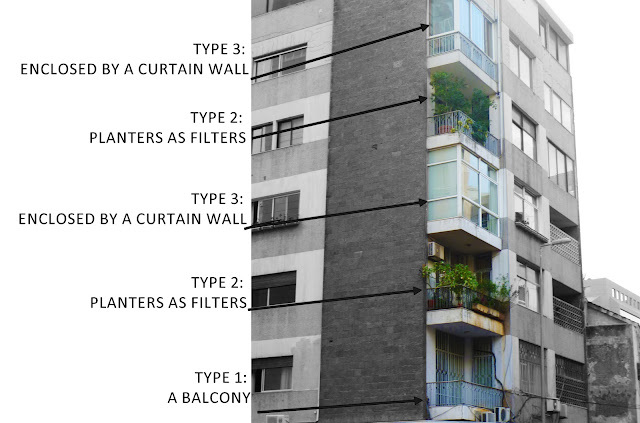 Apartment residents are deciding to place a curtain wall on the balcony for more space or as a 'new' type of filter. 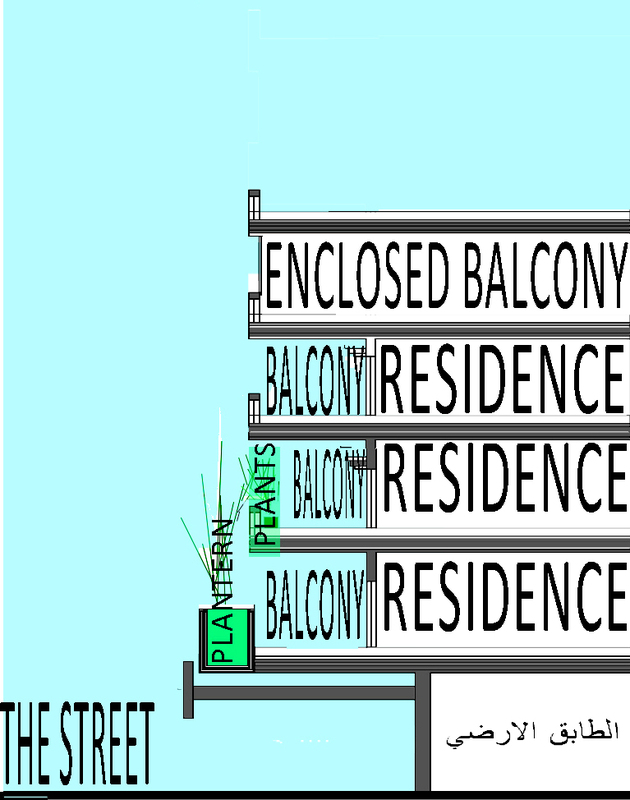 The first includes barring residents from enclosing their balconies. 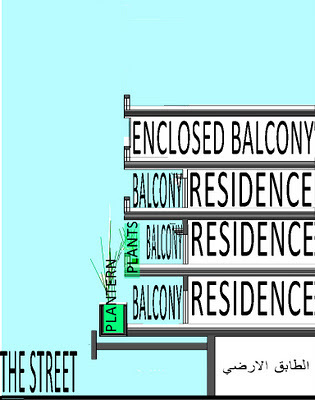 This would imply that residents will have to again be designed to include living space instead of relocating this to the balcony. This implies that the minimum area for an apartment will have to be increased. 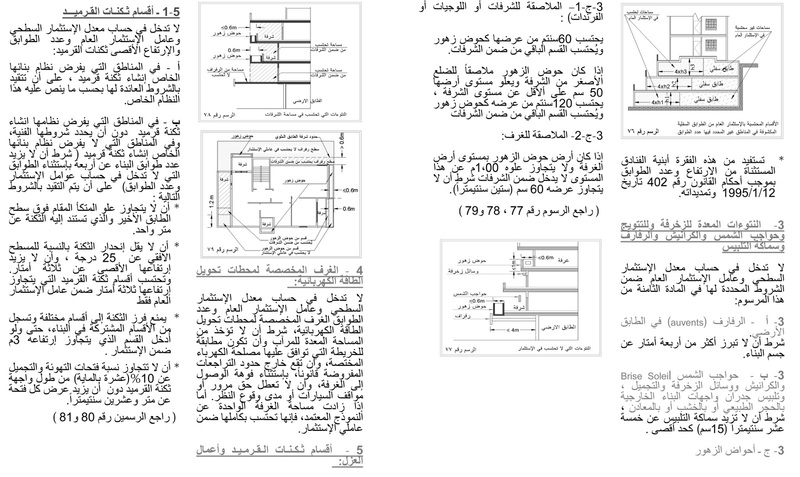 In light of the staggering price of 1m2 in Beirut this will make residences well beyond the reach of most Lebanese. The second approach may be to include in the building law a larger allowable planter. I would suggest 1.2meter wide unsellable planters on all balconies that have the possibility for enclosure. 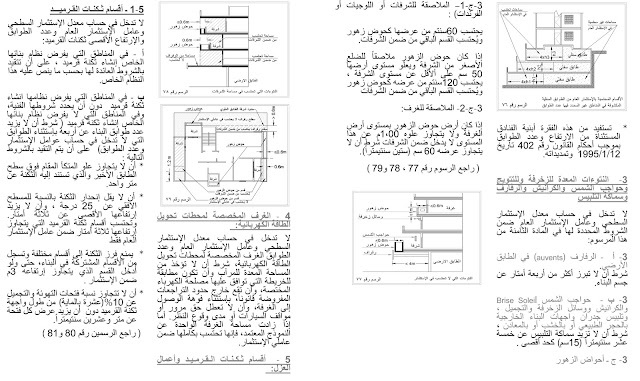 This is problematic only because it will add a 0.6meter overhang to the footprint of most buildings. Do you think such a policy that invites the private sphere to build wider planters will create a multiplication of green space? I think your last question depicts the real problem in Beirut; that is, even if people had wider planters, it's debatable if they will actually plant them. Urging people to plant can be step one to combating this problem, before heading to building policies and permits. Beautiful pictures and diagrams! i love your blog, i think it's very interesting. the problems you describe are also common in my hometown, tel aviv. actually, i sympethize with most of the urban issues you present in your blog, & you'll be surprised how much these two cities (& other mediterainean cities) are simular. in tel aviv people closed their balconies' but not with glass walls - with plastic blinds, which were popular & cheap in the sixties & seventies. the city council couldn't make the residents remove them. so they "loundered" all the existing enclosures, & today they are more attentive to it. i myself am an architect working in the city, & i totally agree with you basic claim - open balconies, which allow plants to grow & ventilate the apartments, enrich the cityscape & fit very well with our climate. In searching for interesting balcony designs I have stumbled upon some very interesting blogs. This is an interesting topic and plants do add character to a home and of course a balcony. Very interesting read and I enjoyed this post. 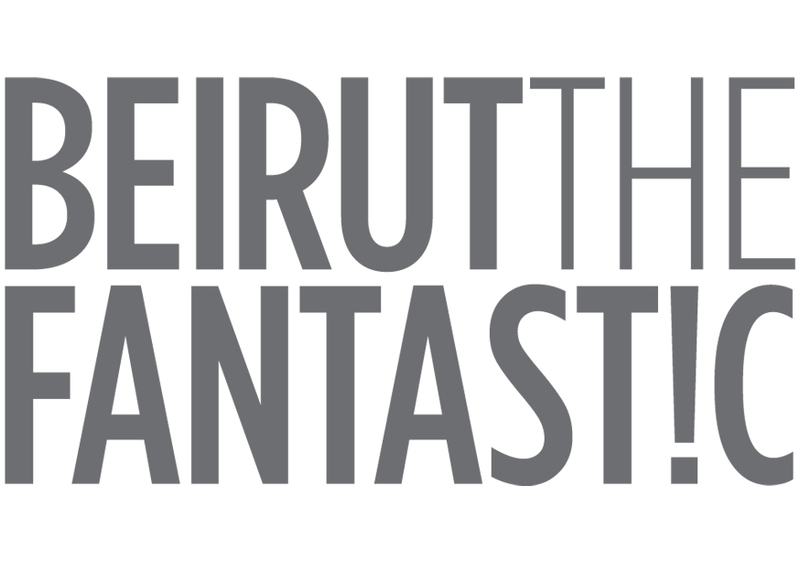 Beirut The Fantastic by Rishani, Sandra is licensed under a Creative Commons Attribution-NonCommercial-NoDerivs 3.0 Unported License. Permissions beyond the scope of this license may be available at sandrarishani@hotmail.com.